Deacon, James Arthur Neal was born, April 12, 1946 in Brownsville, Tennessee. His parents were Albert Neal Sr. and Clearine (Currie)Neal. He worked as a Supervisor for Wagners Castings for over 40 years. He spent his retirement years traveling to Brownsville, spending time with his family, gardening, fishing and talking on his CB radio “412” was his CB handle (name). He loved baseball, he played for the Rollingstones, and coached a women’s softball league known as the Stonettes. On April 23, 1970 he married the love of his life, Carolyn Neal. This month is significant as it would have been 49 years of matrimony. He received salvation at Community Temple COGIC under the leadership of the late Bishop Willie F. Newbon there he served as an Usher and Deacon. 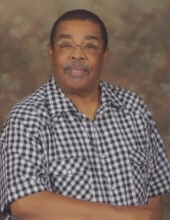 He later served as Deacon and Trustee Board Member at House of Miracles Pentecostal Church (Pastor Leon Young). In 2010 God called his wife to a Pastoral Ministry, Gods Place of Deliverance Church where he accompanied her and performed multiple tasks. James cherished his family and his family will forever cherish his 72 years of life. He leaves to cherish his life and legacy; his loving wife, Pastor Carolyn Neal of Decatur, IL; daughters: Patricia Ann Neal, Pevla Young and Tina (Nick) Cunningham all of Decatur; special daughter, Waletta Neal of Atlanta, GA whom he raised; brother, Troy Neal, Sr. of Decatur, sister, Melinda Neal of Decatur; grandchildren: Timarie Neal, Tailer Young, Perre Harris, Bryce (DaQuesha) Taylor, Keagan Cunningham, Kahlil Brummett, Chase Cunningham; great grandchildren, Deshaun Johnson, Trinity Johnson, Carter Young, and Bryson Taylor, aunt, Inez Neal of Chicago, IL, sister-in-law, Essie Neal and numerous nieces, nephews, cousins, relatives, his in-laws, the Young family and countless friends. He was preceded in death by his parents, Albert and Clearine Neal Sr., siblings: Albert Neal Jr., Betty Neal, Leon Neal and Ernestine Taylor. To send flowers or a remembrance gift to the family of James A. Neal, please visit our Tribute Store. "Email Address" would like to share the life celebration of James A. Neal. Click on the "link" to go to share a favorite memory or leave a condolence message for the family.